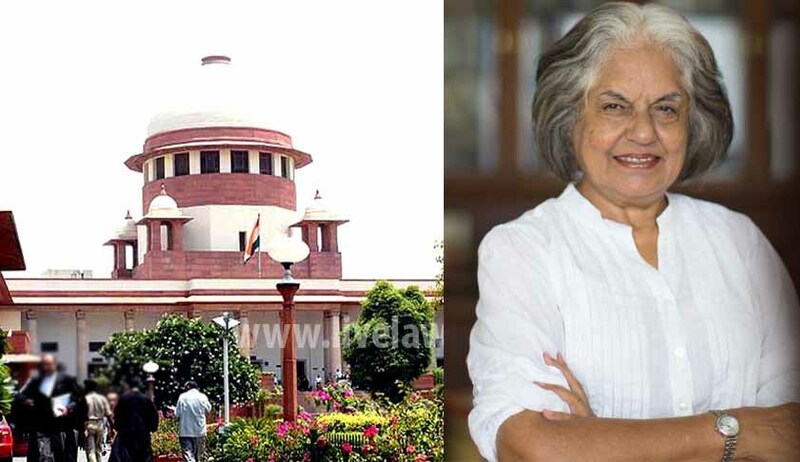 In the Written Submissions on behalf of Bebak Collective and Centre for Study of Society and Secularism, Senior Advocate Ms. Indira Jaising has submitted that Personal Law is “law” and “laws in force” within the meaning of Article 13 of the Constitution of India, and hence, Muslim Personal Law is capable of being challenged on the ground of violation of fundamental rights. In this regard, Ms. Jaising has submitted that the decision in the case of State of Bombay v. Narasu Appa Mali, AIR 1952 Bom 84 is not binding. In Narasu Appa Mali’s case, the question which arose for consideration before the High Court of Bombay was “whether the personal laws applicable to the Hindus and the Muslim are laws in force within the meaning of Art. 13(1) of the Constitution”, and must, in order to survive Art. 372(1) and Art. 13(1), satisfy the requirements of Arts. 14, 15 and other Articles of Part III. Both Chief Justice Chagla and Justice Gajendragadkar had, in their separate though concurring judgments, answered the question in the negative. The Court had reasoned that Article 372(2) gives to the President the power to modify laws in force, and it was not the intention of the Constitution to give to the President the power to modify personal laws. Ms. Jaising however submits that the Supreme Court has interpreted “laws in force” to include not only statutory laws but also the entire gamut of common laws of the land. She then relies on various decisions of the Apex Court to submit that personal laws must be held to be included within the definition of “laws in force” in Article 13, as also in Article 372 of the Constitution. The High Court had further held that Article 44 mandates the State to secure for citizens a uniform civil code, and the State thus recognizes the continuance of personal laws. Ms. Jaising, however, rebuts this reasoning, submitting that the very act of recognition makes them “law” and “laws in force” subject to the discipline of the Constitution. The High Court had also noted that the existence of Article 17 shows that untouchability was a part of Hindu Personal Laws, and it was specifically prohibited. Thus, according to the Court, there would have been no need for Article 17 at all if personal laws were part of “law” and “laws in force” in Article 13. This was, however, termed as flawed by Ms. Jaising, who contended that mere fact that one aspect of Hindu law is specifically mentioned in Article 17, cannot lead to the conclusion that all personal law is not law within the meaning of Article 13 of the Constitution of India. Omission of the expression “personal laws” from Article 13, which was modeled on Section 112 of the Government of India Act, 1915 was further considered a conscious omission by the High Court. Ms. Jaising however points out that the expression “personal laws” appears in Entry 5 List III making it clear that the State can enact legislation in relation to personal laws. “If the State has the power to enact legislation for personal law, there is no reason why personal law cannot be subjected to judicial scrutiny under Part III of the Constitution,” her submission therefore states. Besides, she submits that the High Court had failed to recognize personal laws as “customary laws”, therefore rendering the judgment in Narasu Appa Mali’s case non-binding, as having been wrongly decided.